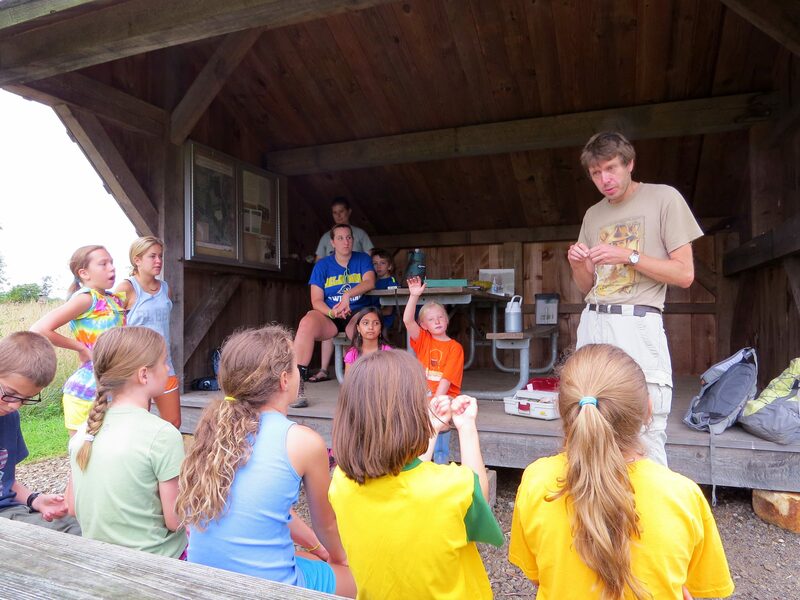 Today, Ian Stewart, a University of Delaware Biologist visited the Bucktoe Campout camp at the Bucktoe Creek Preserve to conduct a bird banding session. 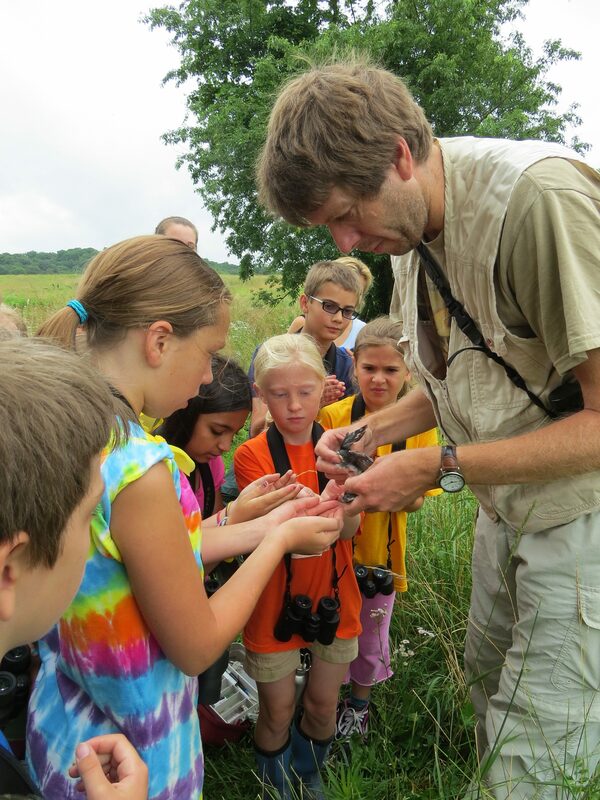 We all learned what banding is, how it is used for research on birds, and how much training goes into learning how to band birds. We learned that banding is when you take a tiny metal ring and put it on a birds leg. The band has a unique number that goes into a database with the US Geological Survey so that scientists can look it up if the bird is ever found again. Ian is telling the group about his research banding Tree Swallows. After Ian explained a little bit about his research on Tree Swallows, we went out to some active nest boxes on the preserve to see if we could band, measure, and learn about Tree Swallows and Bluebirds that use the boxes. 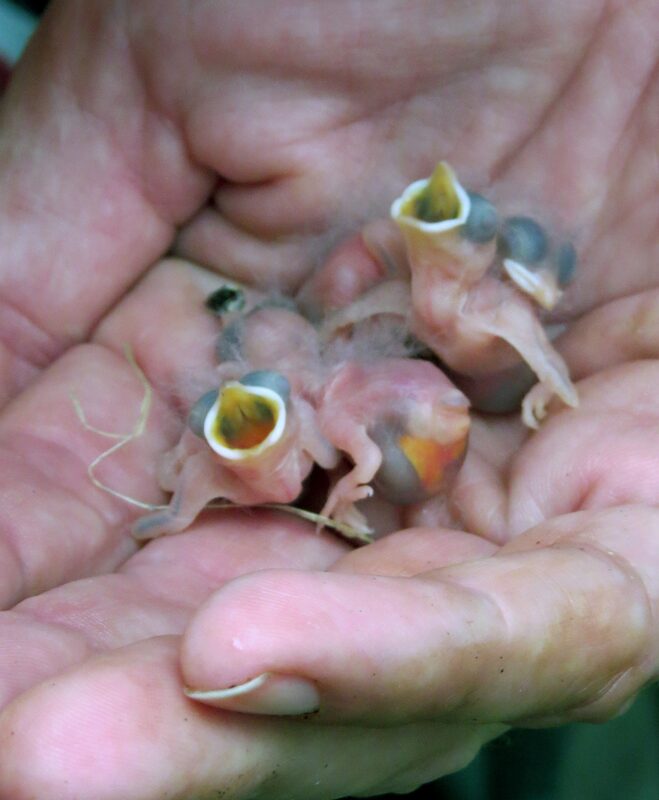 Here, we are getting to hold some baby Tree Swallows that are fully feathered and ready for banding. At the first nest box we visited, we found a nest of Tree Swallows with three fully feathered young. They were old enough and big enough to band. We got to hold the birds, which doesn’t hurt them, band them, weigh them, and measure their wings. Believe it or not, they weigh more than their parents at this stage! Their wings were only about half as long as an adult Tree Swallow though. Cool! A baby Tree Swallow! After we banded the nestlings, we set up a little trap to catch one of the parents as they came back to the nest to deliver food to the young. In less than a minute, it worked! The adult still had the food in its bill when we examined it, which was really neat to see what the babies were eating. We then banded it, measured its wing length, and weighed it. After releasing it, it went back to the box to check on the family. 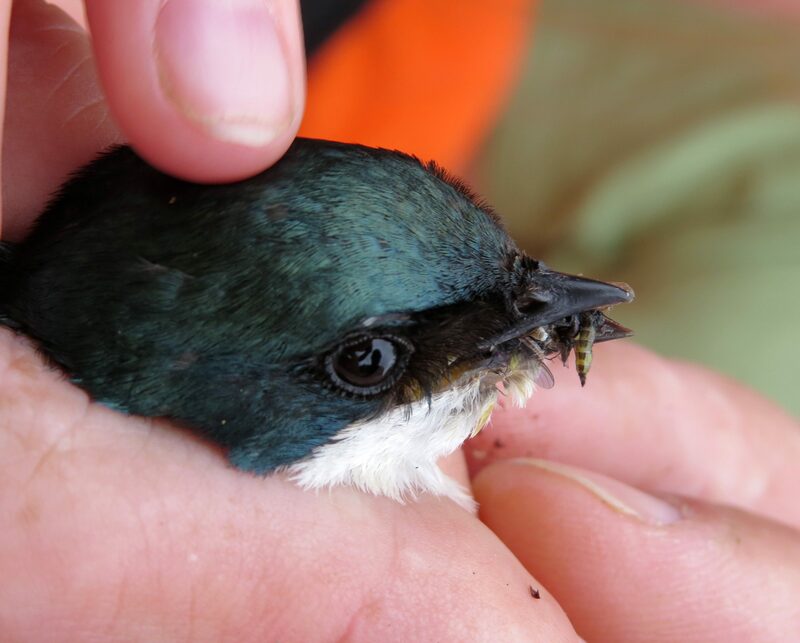 We caught an adult Tree Swallow that was bringing food in to the nestlings. It caught lots of little hover flies! After all of this banding, we visited a Bluebird nest which had four eggs. 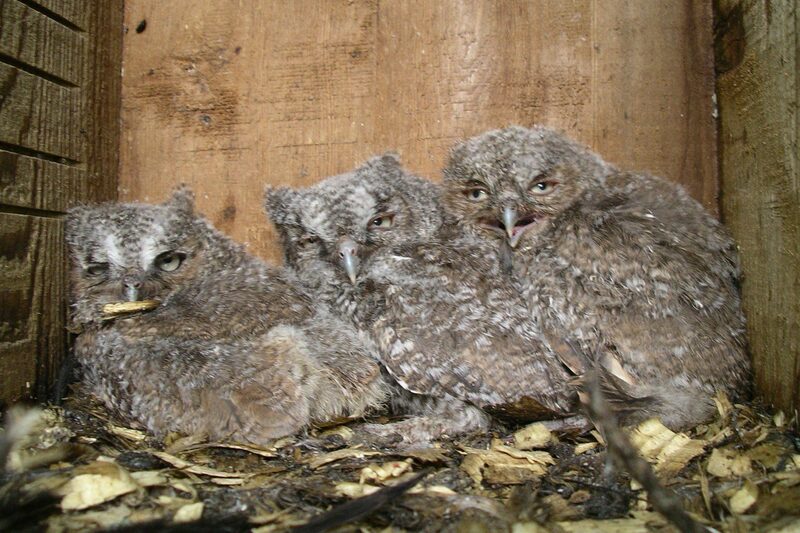 Since they were still in the incubation phase, we did not trap the adult for banding, because they might abandon the nest. 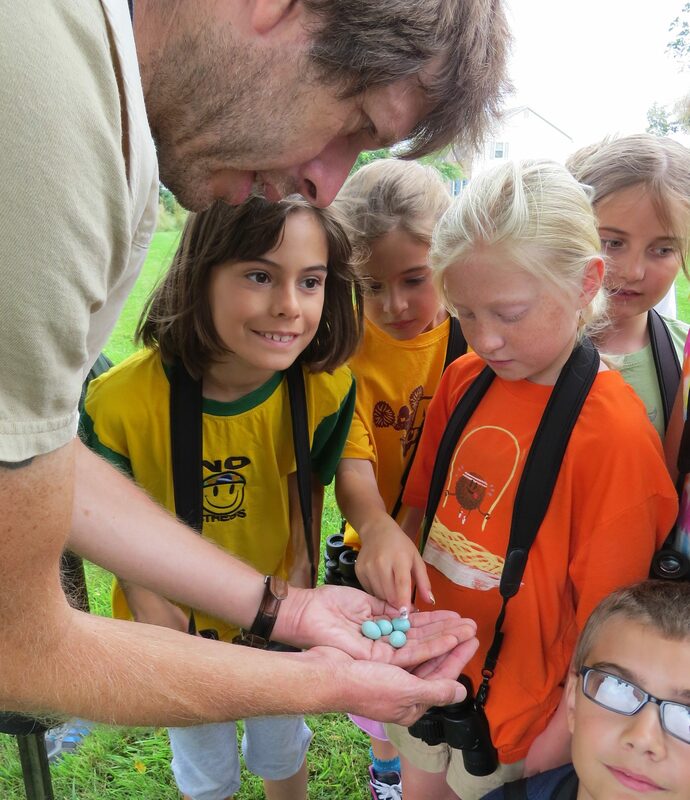 Taking a look at some Eastern Bluebird eggs. This is the second brood that this pair is raising. Finally, on our last box, we found a Tree Swallow nest that had tiny little young that were only a few days old…too young for banding. We also didn’t trap the adults since their naked young would get cold quickly, so we examined the young nestlings and quickly left the area. In another nest, we found Tree Swallows that were very young, only a few days old, and too young to be banded. None of these activities hurt the birds, and now we have a record of the banded ones. Next year, we will look to see if they come back to the area. If someone else at a banding station finds one of them on their migration or wintering grounds, we will find out where they went. In all, it was a great experience and a treat to learn some real science, and see these creatures up close. Thanks Ian! Thanks for visiting the Bucktoe Campout Classic camp Ian! I see a few young ornithologists in the group I think. If you have a bird box in your yard, you might have seen some action around it lately. I certainly have. The feature box in our backyard was the scene of a dispute between an Eastern Bluebird and a House Wren last week. Feathers were ruffled, there was a little wrestling and chasing, and in the end it looks like the House Wren won. It has been busy bringing little sticks to the nest since then, with his mate monitoring the progress. Observing activity at bird boxes is an easy way to peer into the private lives of birds. My wife and I are Delaware Nature Society volunteers who monitor bird boxes at the Bucktoe Creek Preserve, and we look forward to our rounds each week. We already have some nesting Eastern Bluebirds with eggs, a few House Wrens building nests, and Tree Swallows starting to add grass to nests. We are also keeping tabs on any nest we find along the route, such as the Robin that is now laying eggs in her nest on our shutter. 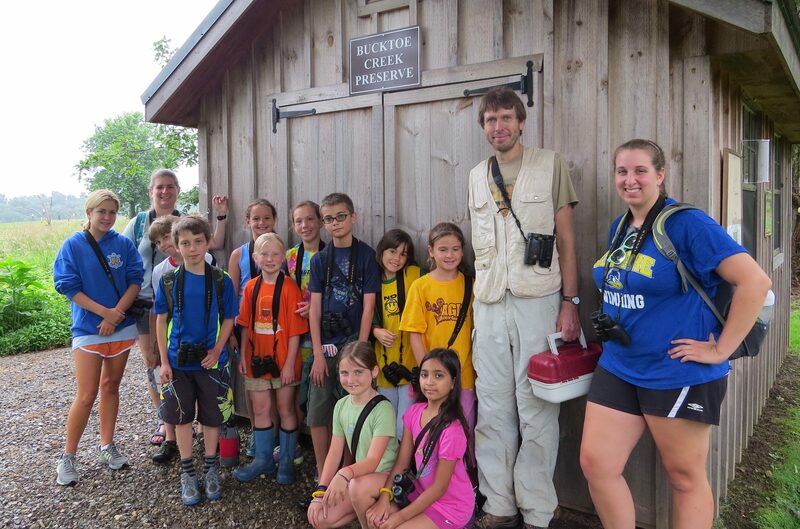 Recently, the Delaware Nature Society has become a Chapter for Cornell Lab of Ornithology’s NestWatch Citizen Science program. 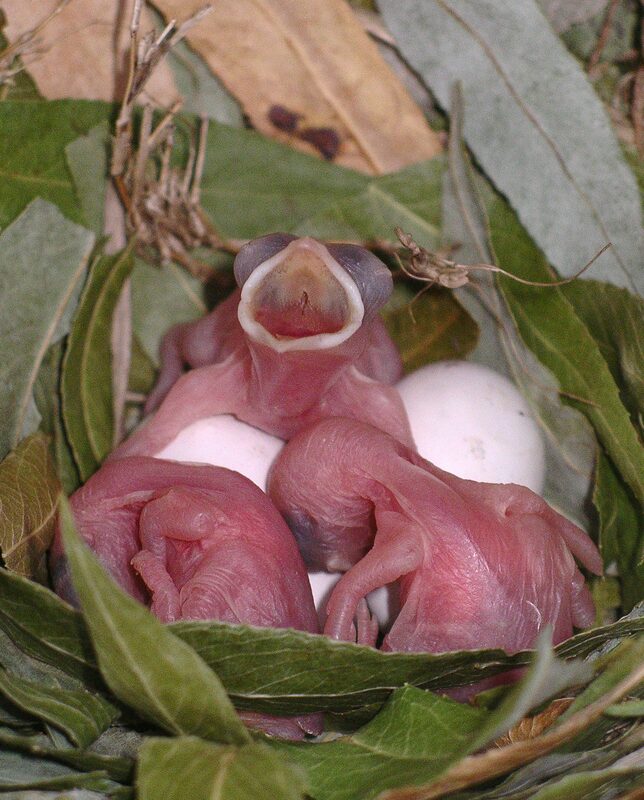 As a chapter, we hold trainings on how to find bird nests, monitor nest boxes, and how use the NestWatch database to record data on eggs, young, and nest success . This is a really fun way to keep track of your backyard bird nests and nest boxes, and contribute your findings to science at the same time. 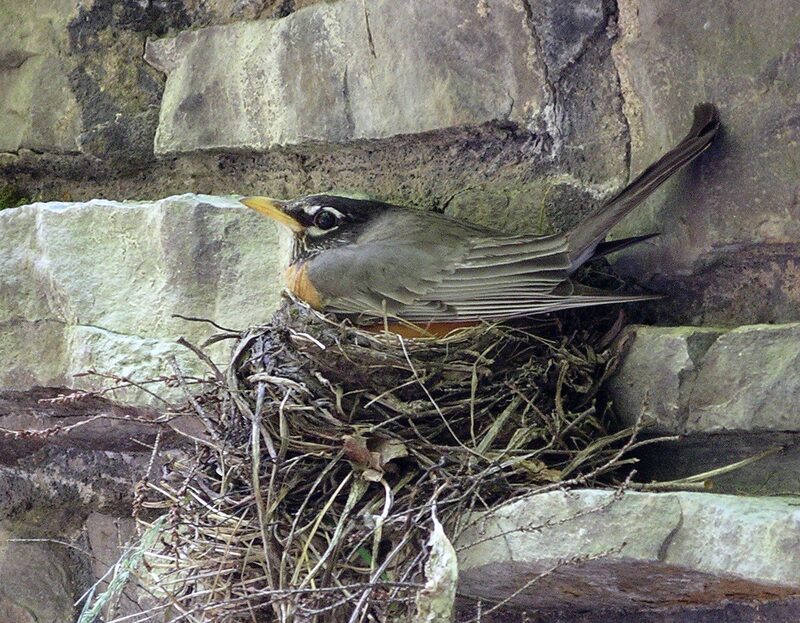 We report all of our bird nest activities into NestWatch, including wild nests like the Robin in our yard. You can always access your data to keep track of the status of each nest, and the mapping feature on the website allows you to see all of your nests on one interactive map. If you like birds, keeping records, maps, science, and helping others learn about birds, this activity is for you! 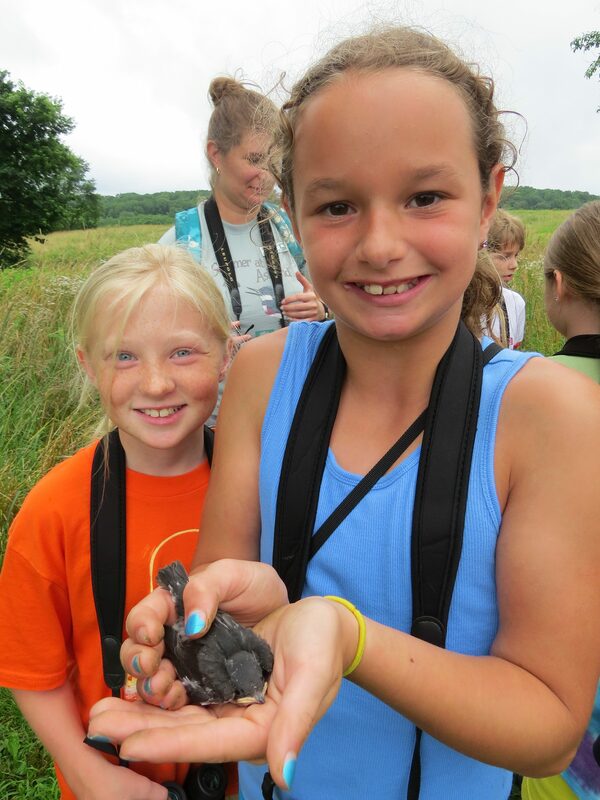 I will be conducting a NestWatch training on Thursday, May 9th, 6pm at Ashland Nature Center in Hockessin, DE. Anyone can attend. It is free for Delaware Nature Society members, and $5 for non-members. Call (302) 239-2334 if you would like to attend. This training will get you ready to monitor a nest box in your yard, or if you are motivated, to become a volunteer bird box monitor, like my wife and I. As a matter of fact, we need bird box monitors at Ashland Nature Center and at the Red Clay Reservation in Hockessin if you are interested!